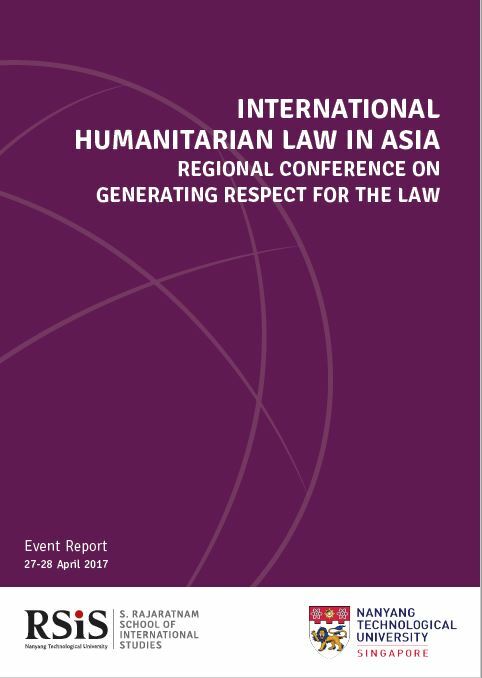 The following report is a summary of presentations and discussions at the sixth regional International Humanitarian Law (IHL) Conference with the theme of “Generating Respect for the Law in Asia”. The conference was held from 27 to 28 April 2017 at the Copthorne King’s Hotel by the Centre for Non-Traditional Security Studies (NTS Centre) at the S. Rajaratnam School of International Studies, Nanyang Technological University, in partnership with the International Committee of the Red Cross (ICRC). The two-day conference provided an opportunity for various legal experts including academics and policymakers from the Asia-Pacific region to have an intellectual debate on generating respect for IHL in Asia.